- Lamento. 2012, 3 mins. Audio recording of a live performance by Remco Campert. - Ariadne. 2004, 12 mins. 35mm (from Super-8). With images of knitting wheels and vinyl records evoking the labyrinths of Greek mythology, Ariadne, shot on Super-8mm film, reworked and blown up to 16mm with the optical printer, and enlarged to 35mm, is an homage to the quality of cinema as both weaving craft and relentless labor of love. - Appearances. 2000, 21 mins. 16mm (from Super-8). Meter works with still photographs of Weimar-era Germany that were left to her by her parents, who fled the country in 1934. - Convalescing. 2000, 3 mins. 16mm (from Super-8). In this silent, contemplative, reflective work that takes place in a room, Meter treats her own footage as if it were found, re-shooting and manipulating it as if it had been given to her, trying to figure out what it is and what lays behind it. - Song For Four Hands. 1970, 3 mins. 16mm (from Super-8). 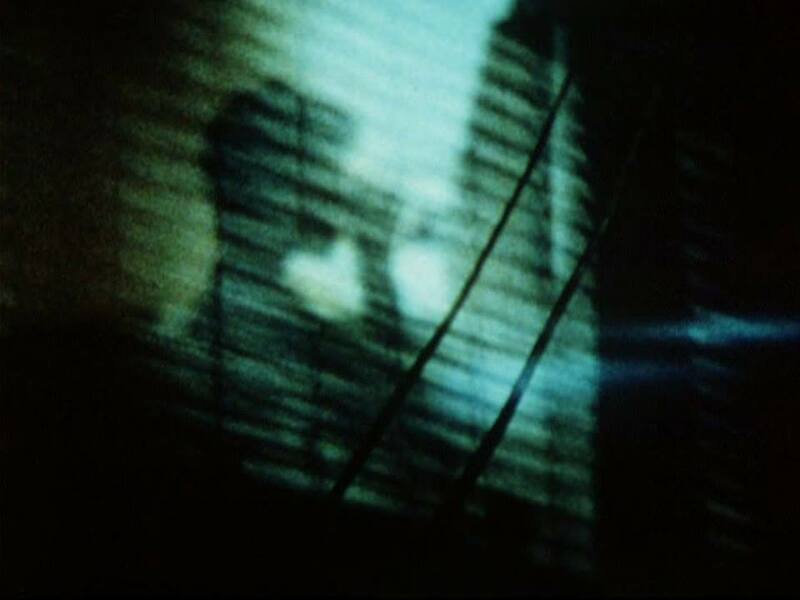 This is a shot, counter-shot film that creates a conversation without words between a woman, Barbara Meter, and a man, experimental filmmaker, Jos Schoffelen. The film proposes a dialogue deafened by a chord from a Mahler symphony. - Stretto. 2005, 6 mins. 16mm. The word “stretto” is an Italian musical term referred to the final section of a fugue, characterized by interweaving melodies. In the film, Meter, by employing dissociative imagery and disconnected musical tunes, builds on the polyphonic patterns of history and identity. The soundtrack is John Cage’s Music for Prepared Piano 2, a percussion-like piece conceived as a dance accompaniment. - Portraits. 1972, 6 mins. Double projection and audio recording, 16mm (from Super-8). Alternating one, two, and four screens, Meter features close-ups of artists Sally Potter, Mattijn Seip, Pim van Isveldt, and Mike Dunford from different angles and at fast speed. At the end, a wide, complex portrait may be created by accumulation of layers in the viewer’s mind. - A touch. 2008, 13 mins. 16mm. With sound effects of passing trains, running water, and wind, plus an exquisite imagery manipulation with the optical printer, Meter pays homage to the fragility of celluloid, as well as of our own vulnerable materiality. She treats emulsion as if she were touching skin, with the same attention, permissions, and apprehensions, actions and reactions. Presented in partnership with EYE Filmmuseum, Amsterdam; Milwaukee Underground Film Festival, Wisconsin; and (S8) Mostra de Cinema Periférico, A Coruña, Spain. This is an all-celluloid touring program taking place at the Milwaukee Underground Film Festival (April 22), Museum of the Moving Image in New York (April 30), and (S8) Mostra de Cinema Periférico in A Coruña (June 2). Very special thanks to Cullen Gallagher, Vera Kuipers, David Schwartz, Simona Monizza, Marleen Labijt, Edith van der Heijde, Guy Edmonds, Ben Balcom, Elena Duque, Ángel Rueda, Ximena Losada, Fred Baez, Joel Schlemowitz, José María Armada, Blanca Regina, Karel Doing, Emmanuel Lefrant, Frédérique Devaux, Tomoko Kawamoto, Eric Hynes, Carolyn Funk, and Barbara Meter.